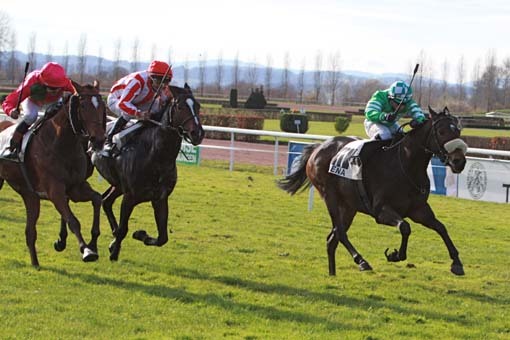 We are proud to have bred Sunnyhill Studs promising young sire Gamut\'s first winner! Montalvo also is his dam Miss Lloyds first foal which gets her off to a great start as a broodmare. Montalvo wins on his third start over 1800m. This is all the more remarkable, as he has a stout staying pedigree. He is obviously a horse with a great future. Swordlestown Little, Naas, County Kildare, Ireland. Telephone. +00 353 (0)45 895610 Fax. +00 353 (0)45 895612 Email.